I wish it was socially acceptable to shampoo my body in this stuff. Itâ€™s almost my favorite Mckees product. It lathers and lifts dirt while also conditions the leather. 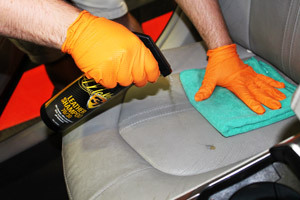 It immediately changes the feel of a dirty seat or one that has greasy armor all on it. ProsSmells incredible, changes the feel of leather and isnt slippery.